It seems that this fast-moving digital world is determined to amaze us with a continuous rise of new trends, platforms, and promotion approaches. These changes keep the job of marketers and business owners far from boring. Don’t let even the slightest opportunity to slip past. Get ready for the hottest advertising trends that should definitely become a part of your digital marketing plan this year. Email advertising is the essential part of almost every business marketing strategy. But if an email does not captivate customer’s attention at the first sight, your client is more likely to delete it or at least, totally forget about ever receiving it. Remember, the competition for subscribers’ attention in the B2B and B2C sectors remains fierce. Try to stand out, go beyond offers and promotion, providing something valuable to entertain and educate your audience. How-tos, guides, emails with sliders, buttons, surveys, and quizzes will inspire engagement with your brand and keep customers from unsubscribing. Catchy titles and a well-structured content describing your expertise, sales points, and competitive advantages is another important facet to focus on. If you deal with a large contact base, use segmentation to customize your messages. Try to experiment with different sending time. Morning emails get on the top of the list and messages received after a tasty lunch get higher chances to provoke a response. Sundays show higher open rates as the weekend is almost over and we start planning the working week with the renewed vigor and yield to the temptation of checking the inbox. Random time, like 6:25 looks more natural and works better than 6:20. Digital PPC advertising provides numerous compelling benefits for starters and seasoned masters of the marketing world. If you want to make a quick entry, obtain a wealth of useful data and receive easily measurable and trackable results, do not hesitate to use the PPC marketing, which, by the way, goes well with other promotion channels. So, the rise of which paid advertising trends should we expect in 2018? 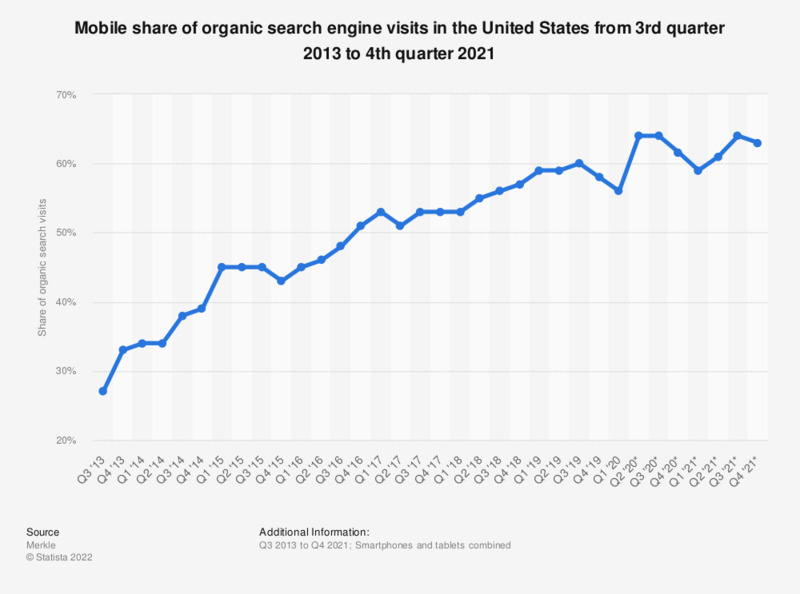 As the statistic shows, more than 50% of organic search engines visits were made from mobile devices in 2017. The drift from desktop to smartphones and tablets will become more prominent this year and will directly impact the PPC search engine marketing. What are your plans to leverage the mobile paid search? There has been a lot of talk around the voice and visual search last year. The sphere will continue to improve. If you want to stay on the leading edge and benefit from new opportunities in paid search, watch these trends more closely. It does not mean that you have to revamp your marketing strategy and build your ad campaigns around these capabilities. The least you must do is to track changes in search behaviors and the results platforms deliver with the rising media. Traditionally, costs continue to raise. The logical question appears: how to compete with companies that can afford a far bigger budget on paid advertising? Narrow your focus. Start with one or two products or services you consider the most important for your business. Geotarget your best performing location, especially if you run a local business, to attract customers to specific outlets. Do not forget about mobile bids. If mobile visitors to your website continuously convert into customers, there is a point in increasing your mobile bid. Segment ad groups and access lower ad positions depending on your campaign. Review conversions, monitor and optimize what you’ve started. One of the chief media advertising trends for 2018 is a rapid increase in competition. Narrowing your focus to the target audience helps to build more effective banner advertising strategy and run a cost-effective ad campaign converting your audience into loyal customers. If to put your ads everywhere possible, you will pay a high price for poor performance. Do your research and find the best medium for your ads. You can go multichannel or focus only on search engines, directories, and industry specific-websites, as well as try social media advertising campaign. The final choice depends on where your audience is more likely to hang out. What appeals to them visually? How to improve your banner ads with the right fond, color, and content? Keep your ads simple and easy readable. They should not be overwhelming. Colors that match your logo and website will help to create and enhance brand identity. One or two fonts that round each other out is more than enough to include in your advertising media planning. Avoid blurry, too small or too big letters with poor contrast and bad spacing. anners or branded content marketing to drive leads and create deeper engagement with your targets. If you do not interact with your customers on Facebook, Instagram or Twitter, you’re definitely missing immense benefits of social media marketing. Chatbots and augmented reality, ephemeral content and influencer marketing, tons of videos and live streaming are among the top SMM trends for 2018. They will considerably impact users and brands behavior as well as shape social media advertising. Along with that, we see the increase of social commerce. People are willing to buy from brands through social networks. The good news is that it becomes far easier to expand your reach, connect with target customers and convert browsers into buyers. When you get additional selling channel and the power to influence customers’ shopping decisions, the only advice is not to let this opportunity slip away, especially if you want to use social media marketing for a small business. Any viral video advertising is guided by a single idea: online engagement. If your audience actively follows, likes, and shares the video content you create, benefits of online video advertising can be more than rewarding. Let’s focus on how to get maximum conversions from the animated video marketing for your business. Live streaming, explainer and mobile videos, stories and social videos will be actively used in 2018 to boost brand awareness. People come to Facebook, Instagram, Vimeo, YouTube, Snapchat not only to find information but also just for fun, new emotion or pastime. Decide on what channel you are more likely to meet your target audience to satisfy their needs and viewing habits. Will it be YouTube video marketing or maybe video ads on social platforms? Creating a video content follow your brand identity as the significant emotional impact of native videovideo advertising helps create a solid personal bond with your product or service. Who does not understand the importance of SEO in digital marketing? The main rule to remember this year is that search engines are constantly improving their ability to understand the content and to satisfy users’ needs. 2018 is the year when you’d better put mobile first. Google is about to roll out the mobile-first index. A mobile not desktop version of a website, page or content will be used for indexing and ranking. Mobile-friendly websites are not optional anymore. They are a necessity if SEO digital advertising is in your marketing plan. So, if you still do not have a responsive website, hurry up to fix that, optimize the design and information architecture, navigation and page load speed for mobile. Speaking about the optimization of load speed, it won’t be a difficult task with the Accelerated Mobile Pages (AMP), that load four times faster than regular mobile pages. Although AMP is not a ranking factor yet, they directly influence the website rank metrics improving the engagement time and reducing bounce rate. We cannot but mention the importance of featured snippets and quick answers in SEO marketing for small business. Proving a summary answer to the searcher’s query, they are usually in the top 5 of search results. And this is a great deal of traffic to fight for. What can you do to get your content there? Think about the questions your targets may have about your service or business and try to answer them directly, even in the Q&A format. Use lists, tables and structured data to classify the page content. Present information about the page to help Google find and extract the right content for featured snippets or quick answers. If these trends are able to steal a fair amount of traffic from top positions, why not to include them in your search engine marketing plan? It’s really difficult to pass by such a diversity of marketing opportunities and stop, let’s say, only on mobile digital marketing trends. To reach your audience and build long-term relationships, it’s better to combine several promotion channels and try digital marketing automation. For a small business with a low digital marketing budget, it’s of critical importance to conduct an in-depth study of the selected marketing channels to avoid possible pitfalls and costs overrun in the future. Mobile digital advertising will take the leading position this year, although good old email marketing and its automation, in particular, must be also taken into account. As before, targeting and in-depth audience analysis continue to rule the marketing world. What trends have you already added to the marketing plan?